BEAVERCREEK — Former US Congressman Steve Austria, President of ZHF Consulting LLC, along with Thomas Zaino, Managing Member of Zaino Hall & Farrin LLC and former Ohio Tax Commissioner, announce the affiliation of former State Representative Bob Doyle, as Senior Vice President of ZHF Consulting LLC. ZHF Consulting is one of the fastest growing government consulting and government affairs firms in Ohio and Washington D.C., with their main office at 41 S. High St., Suite 3625, in the Huntington Bank building across from the State Capitol. According to former Congressman Austria, ZHF Consulting continues to build out its state and federal government relations team in Columbus and Washington DC with the recent addition of former House Speaker Pro-Temp Ron Amstutz and longtime statehouse advocate, Rich Bitonte, past President of the Bitonte Group. Doyle brings over 30 years of government experience to the firm, having served 10 years in the Ohio Legislature, and over 20 years as President and CEO of The Doyle Group, a government consulting and lobbying firm. While serving in the Legislature Bob was the chief sponsor of 9 bills that became law, all while serving in the minority. Bob earned respect for his bi-partisan focus and dedication to each issue. He served as ranking member of the Health Committee and also served on the Insurance Committee, Energy Environment Committee, and the Small Business Committee. 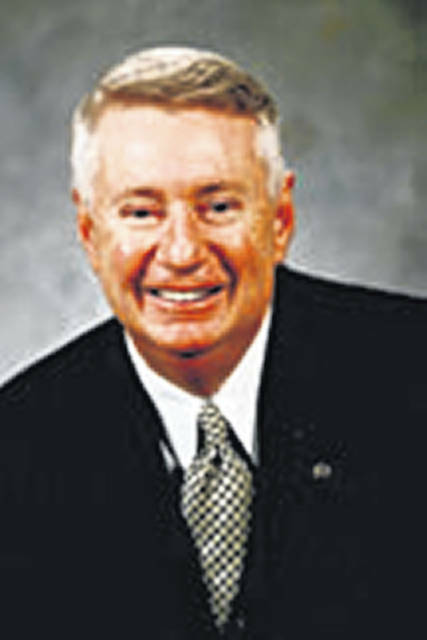 As an active member of his community, Doyle has served on many boards and is a member of many organizations, including having served as a president of a Chamber of Commerce. He is an active member of the Beavercreek Rotary Club, where he is a four-time recipient of the Paul Harris Fellowship Award. He was appointed by Governor Kasich to the prestigious Association of Ohio Commodores. He is a life time member of The Ohio State Alumni Association and served as Vice President of the Greene County Ohio State Alumni Association. Doyle also served as President of the Professional/Independent Insurance Agents Association of Ohio, and because of his leadership he was named Insurance Agent of the Year for the State of Ohio. He is a veteran having served six years in the US Navy Reserves.